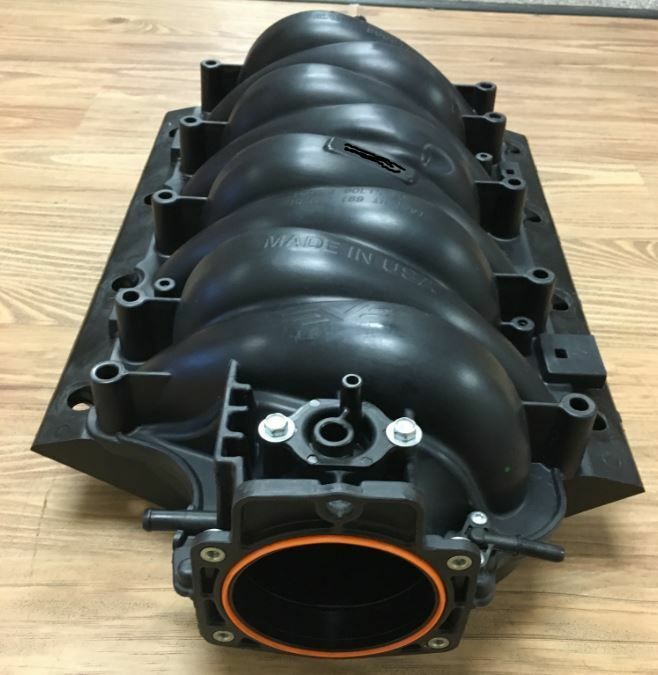 It has been confirmed that the Dorman "LS6" intake uses a FAST 78/ 90 lower shell, it even still has FAST patent number on it. I just talked to a rep from dorman, their ls2 intake is still in development. And he confirmed that it is essentially their ls6 intake with a 90mm 4bolt throttle body flange. I think this has some potential. They're kinda shooting themselves in the foot of that's the case. The "LS2" intake needs to be able to fit the LS2 injectors and fuel rail. I'd think they're aware of that though. If they use strictly the LS6 runner design and make it LS2 everywhere else though, that's leaps and bounds better than the factory LS2 intake. I had a long conversation with Mike from dorman about this and I believe it is the same ls6 runner design that's on their other intake. They will be using an adapter bracket so that the ls2 injectors and rails will fit onto what's basically their ls6 intake. Excellent to know. I hope they leave enough room to open it up to a 92mm. Bump, any inside information on the ls2 release? Any update as to the status of this yet? You're putting a 5.3 in a car that came with a 5.7, or had the V6? Either way, you'll definitely need a tune. Better to have it all together ready to go, intake and all and tune it ONCE and be done with it. Good to hear this cost-effective alternative is coming to fruition as well. Great news! Guess im holding off on buying the dorman ls6. Well first I want to say Im not bashing Dorman , I have probably ordered more of there intakes than any one individual on here. But as I predicted weeks ago the LS2 version would not be released in mid October like some had said earlier. So it appears I was right after all. But good news for those that are interested in may come out in December. "Thought you all would like to see this. Our OEM LS2 replacement intake is in its final production phase - expected release should be sometime early December. " This picture is most likely a early prototype , notice that the pad on top for the part number appears to be ground down almost flush and has gone through. they all look that way. They all look that way ! I don't think your looking at it close enough. Quick Reply: Dorman ls2 intake?